Derived from the term Mana meaning to store, the term ‘Mouneh’ is applied to stored ingredients that are originally picked during harvest. Where would our famous Lebanese kitchen be without its appropriate ingredients. Our lovely Mouneh bags are made of canvas and will brighten your kitchen and make organizing easier. 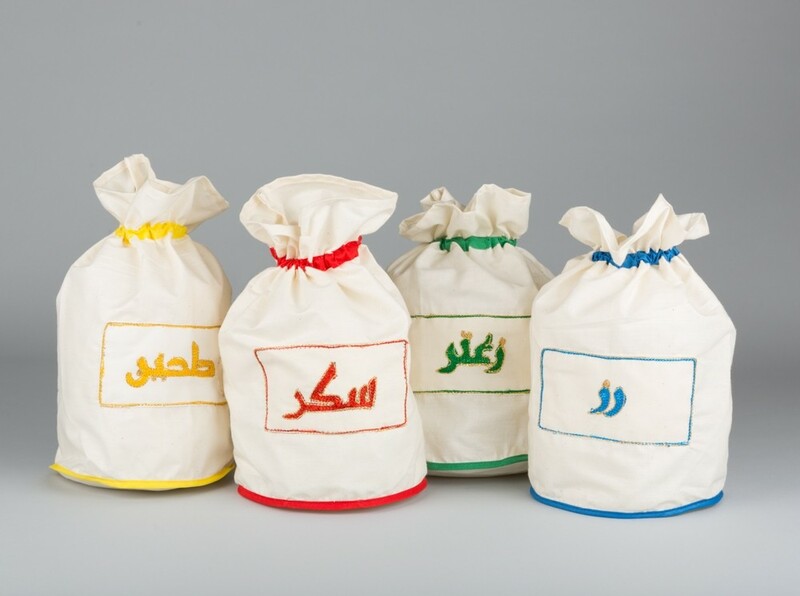 This set comprises of bags for Rice (رز), Thyme (زعتر), Sugar (سكر) and Flour (طحين).